Moderator Jay Fishman (Financial Research Associates) took on the “puzzling, controversial” topic of tax-affecting with the panel of Tax Court judges in Part III of BVR’s Tax Summit last Friday, hosted by Georgetown Univ. Law Center. Although none of the judges has presided over a case in which the issue came up—“I’m looking forward to it,” said Judge David Laro. “We are aware of the writings, the articles, the speeches, and the intensity of the debate” on the topic within the BV profession, Laro said, and they know that most BV analysts believe that what the Tax Court did in the Gross case was wrong. “You have to find the right facts and be prepared,” Judge Cohen agreed. “The courtroom door is open,” Judge Laro added. Read more of the judges’ insights, experience, and recommendations—on everything from the “red flags” of expert advocacy to what makes the DCF/income approach a more “real world” method than the market approach—in the January Business Valuation Update. The AICPA's Financial Reporting Executive Committee (FinREC) has just issued a working draft of the AICPA Accounting and Valuation Guide Testing Goodwill for Impairment. Developed by the AICPA Impairment Task Force, the draft release provides non-authoritative guidance and illustrations for valuation specialists, preparers of financial statements, and independent auditors regarding goodwill impairment testing. Although it also includes some guidance from FASB ASU 2011-08, Testing Goodwill for Impairment (Sept. 2011), the AICPA working draft does not provide significant task force commentary or prepared examples to illustrate the qualitative assessment framework set forth in the FASB standard. The AICPA Task Force is encouraging BV professionals and other interested parties to review the working draft and submit their informal feedback as well as their thoughts about the need for additional implementation guidance on FASB ASU 2011-08. The deadline for submitting comments is March 15, 2012. For more information, including a copy of the exposure draft and feedback forms, click here. 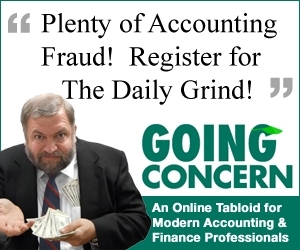 Look for more news from FinREC in the next couple of weeks, with its release of the working draft of the guide on Assets Acquired to Be Used in Research and Development Activities, which will replace the AICPA’s 2001 practice aid and for which the committee will also be seeking public comment. “First and foremost, let me be clear: I understand and respect the role that business valuation professionals play,” says R. Blayne Rush (Ambulatory Alliances), author of the article on ASC valuations that got some attention from ‘Wire subscribers last week. “I also respect and understand what point in the process that the sellers should involve one if their desire is to sell their surgery centers for the highest prices and best terms.” BV professionals interpret the market and I-bankers are “market makers,” Rush adds. “There are many different value worlds for an ASC; it all depends on the purpose of the ‘valuation.’"
Even if Stark does not apply, the anti-kickback statute (AKS) still does, and though FMV is not absolutely required to satisfy AKS, it sure helps, as deals that are not FMV are considered to be evidence of payment for referrals and subject to much higher scrutiny. There have been numerous alerts from the Office of Inspector General (OIG) about sales of interests in business . . . for just this reason. The free-market economic value of a transaction is not the proper measure in the healthcare setting, which is hardly the free market [that the article] suggests, given that (i) there is a desire to separate medical decisions from financial considerations (which a free market cannot do); and (ii) the Federal government is the single largest buyer of healthcare services. Healthcare Symposium renews its 2nd season: Undoubtedly, healthcare valuations are among the most complicated, requiring practitioners to keep current with regulations and techniques in that ever-changing world. Following a highly successful inaugural season, BVR has just launched the 2012 Online Symposium on Healthcare Valuation, a series of monthly presentations that will focus on valuing everything from hospitals, skilled nursing facilities, and medical labs to medical practices in marital dissolution cases. Tune in to the first session: Damages for Violating Noncompetes and Other Claims Involving Physicians, Hospitals & Healthcare Facilities, featuring series curator Mark Dietrich and Kevin Yeanoplos (Bruggeman and Johnson Yeanoplos) on Tuesday, Nov. 15. E&O insurance not as critical as credentialing standards? Our recent poll on BV professional standards and credentialing organizations has so far received more responses than any prior, single-subject survey—and not just one or two more, but roughly 60% more than our last “record-setting” survey on marketability discounts (in 2009). However, our survey last week on E&O insurance has received a mere fraction (roughly 1/20) of the responses—so far. And the current results are split: 50% of respondents indicate that they carry errors and omissions (E&O) insurance for themselves, but 50% do not. Nearly one-third of respondents (62.5%) are non-CPAs who practice business valuation, 25% are CPAs, and 12.5% are some “other” professional. Interestingly, half of the respondents (50%) report having had trouble finding adequate insurance. Just over a third (37.5%) haven’t noticed any change in coverage offerings, but 12.5% say that renewal premiums have increased “dramatically.” As a result, several respondents have added damages limitations or binding arbitration clauses to their engagement letters, but one commented: “I attempted to purchase E&O coverage about a year ago. I found limited market availability. Some told me that they only provide coverage to CPAs. The premia I was quoted were significant percentages of my anticipated revenues.” Now that’s critical. The E&O survey is still open, and we’re inviting your response here. And of course, the comparables must be relevant to the subject company, or you risk making a “fruit salad” of your GPCM, added co-presenter Gary Trugman. Talk to management to find out who their top competitors are. If the company is an industry leader, then your public comps have got to be, too. Industry visibility, growth rates, access to markets, etc. must also be similar. “Think outside the box: what makes the comparables the same or similar?” he asked AICPA attendees. And remember, many of the databases you’ll be reviewing for public company comparables don’t show companies that have been de-listed, and don’t go back in time. But PitchBook does. PitchBook/BVR’s Guideline Public Company Comps Tool can take your search back to an “as of” date; the database of public companies also shows those that have been delisted. For more information, check out “Ten Ways to Save Time on the GPCM” at the BVR/PitchBook site. Congratulations to Gary Trugman for his “Volunteer of the Year Award” at this year’s AICPA National Business Valuation Conference. This year’s inductee to the AICPA BV Hall of Fame, Robert Reilly (Willamette Management Associates), was honored for his lifetime contribution to the institute as well as the broader BV professional community. Last month the Appraisal Standards Board (ASB) issued the discussion draft Communication and Reporting in the Uniform Standards of Professional Appraisal Practice (USPAP), requesting comments by Nov.14, 2011. The FASB has given appraisers and valuation analysts some recent guidance in defining market participants, said Mark Zyla, who led BVR’s Advanced Workshop on Valuation Issues in ASC 805 session last week. The FASB has defined the concepts of “principal market” as well as “highest and best use” and “most advantageous market,” Zyla said. Even though the FASB standards are written for SEC companies, “they help when doing private company appraisals,” he added. management capabilities: if the principal market participant acquired the assets, does it have the management capacity to develop them? After more than 20 years of marriage, a lawyer and his wife divorced. The wife hired a CPA expert, who testified that the husband’s practice had no real assets but a bank account with nearly $120,000—and that was the value of the enterprise, he said. The court found that the husband earned approximately $270,000 per year and the value of his law practice was $65,000, and awarded each party half. The husband appealed, saying the court erred by considering the goodwill value of his practice. The appellate court disagreed, finding that the trial court did not consider goodwill or the husband’s future income in its valuation of the law practice. However, it did not properly characterize the cash account, which did not “change from income to asset” merely because it had not been distributed by the time of trial. The husband’s income, “past and projected into the future, should be (and was) considered in addressing . . . spousal support,” the court held, in finding that the law practice had no appreciable value. Read the complete digest of In re the Marriage of Jackson, 3925703 (Iowa App.)(Sept. 8, 2011) in the December Business Valuation Update; the court’s unpublished opinion will be posted soon at BVLaw. For currency and clarity on this complicated issue, tune in to: Asset or Income? Double Dipping in Divorce, featuring Don DeGrazia (Gold Gocial Gernstein) and Stacy Preston Collins (Financial Research Associates) on Thursday, Nov. 17. When we first broke the news about the IRS’s fractional interest model at the most recent ASA IRS National Symposium last spring, the halls were buzzing with appraisers’ debate, discussion, and even dismay. As the BVWire reported, the “minority premium model” takes fractional interest calculations through several levels of minority vs. majority ownership, and concludes that even when the owners are equally split, the 50% interest may not warrant a fractional interest discount any greater than 30%. But then—why do empirical market data suggest that fractional interests routinely trade at discounts of 30% and higher? Aren’t the facts and circumstances of many such holdings much more complicated than the IRS model suggests? But consider this question: Would a court ever be persuaded that, for example, a 99% owner would be willing to sell at a 30% discount if he can buy out the 1% owner at the equivalent of a 1%-2% discount? Get the answers to these and many more questions in Part IV, the last session of BVR’s Tax Summit: Valuing a Majority Fractional Interest. The event features Neil Mills-Mazer (Internal Revenue Service), who will introduce and describe his controversial model this Friday, Nov. 11. A majority of CPAs say U.S. public companies should have the option to use International Financial Reporting Standards (IFRS) while the SEC decides whether to incorporate the standards into U.S. reporting requirements, according to an AICPA survey (and as reported in the Journal of Accountancy last week). The survey revealed that support for IFRS remains high among AICPA members, but, in the absence of a clear regulatory timetable, U.S. firms and organizations are delaying planning and preparation for the global standards.